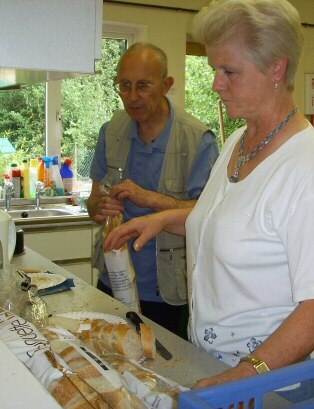 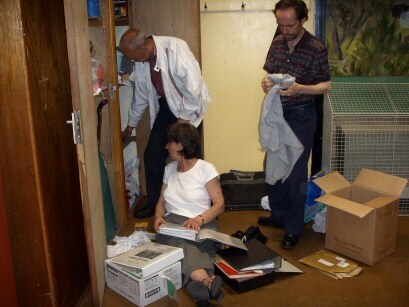 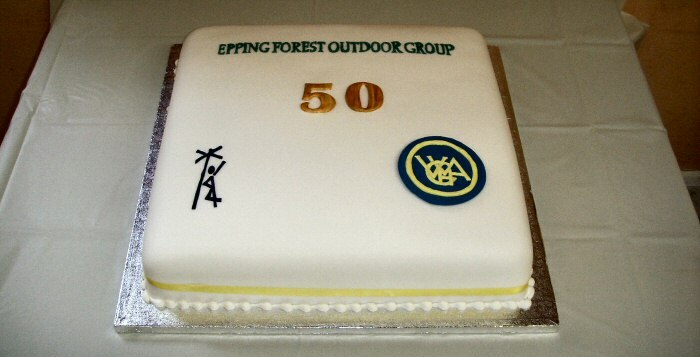 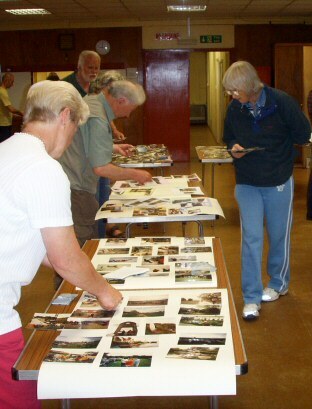 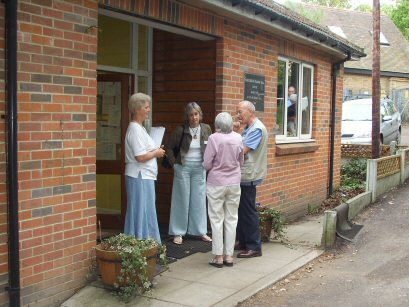 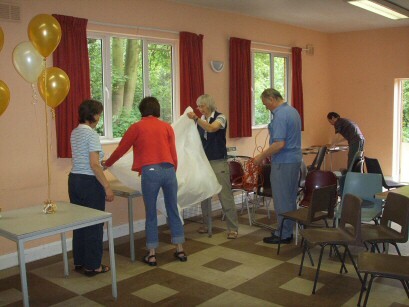 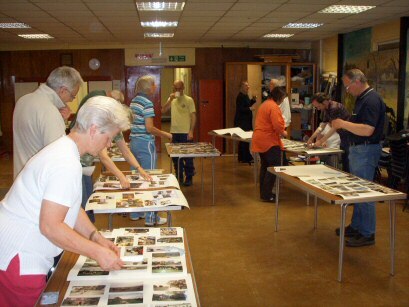 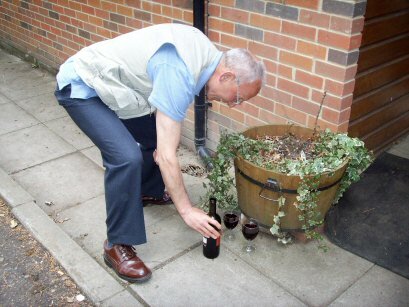 The Epping Forest Outdoor Group's 50th Anniversary was celebrated on 13th May 2006. 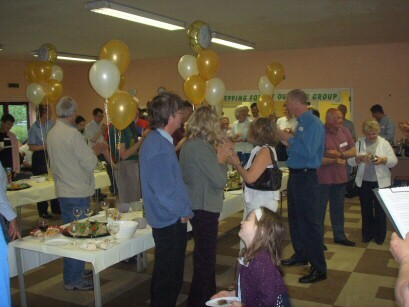 As may be expected, a considerable amount of effort was put in to making this a memorable occasion for all the present and past members that came along to High Beach Village Hall for the occasion. 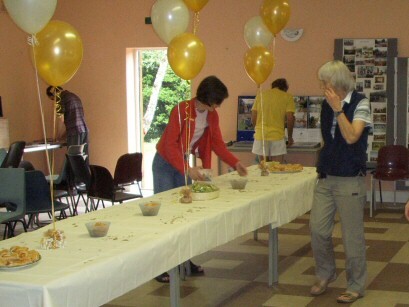 The photographs show not just the celebration itself, but also some of the preparation that went into it. 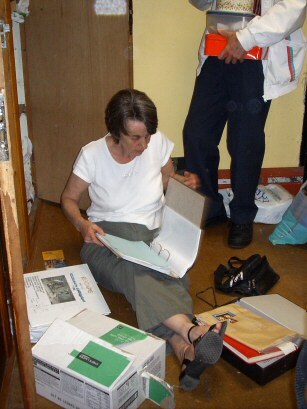 Maz looking through the store cupboard..